The boundary elements, either regular or hidden, are reinforced according to the rules that ap-ply to columns. When we do not want cracked surfaces e.g. in pool sides, we use narrow spaced grates with the lower possible rebar diameter. The ‘S’-shaped bar provides anti-buckling restraint to the longitudinal reinforcement. 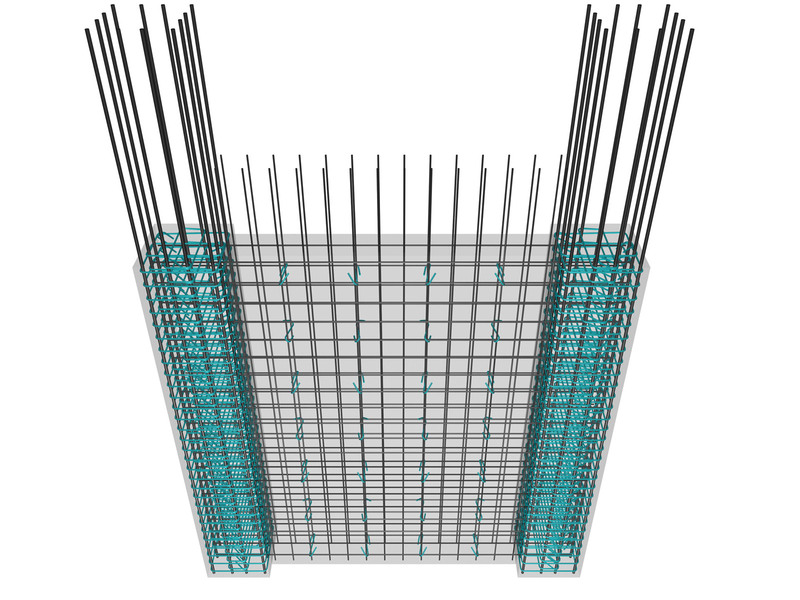 Moreover, it ensures the vertical and the horizontal rebars will continue to work together even after a pos-sible concrete spalling, in case of an intense earthquake event. The ‘S’-shaped link is formed with one closed corner at an angle equal to 180°, or 135° and the other corner bent at an angle equal to 90°. This is necessary for its trouble-free placement. However, after its implementation the second corner must be also bent at an angle at least equal to 135°. It is allowed to use soft steel in order to be able to bent the ‘S’-shaped reinforcement by hand. When the vertical rebars are placed in an interior layer, then the ‘S’-shaped link must restrain the horizontal rebars to the area that they intersect with the vertical ones or even better to go around both horizontal and vertical rebars at the same time. 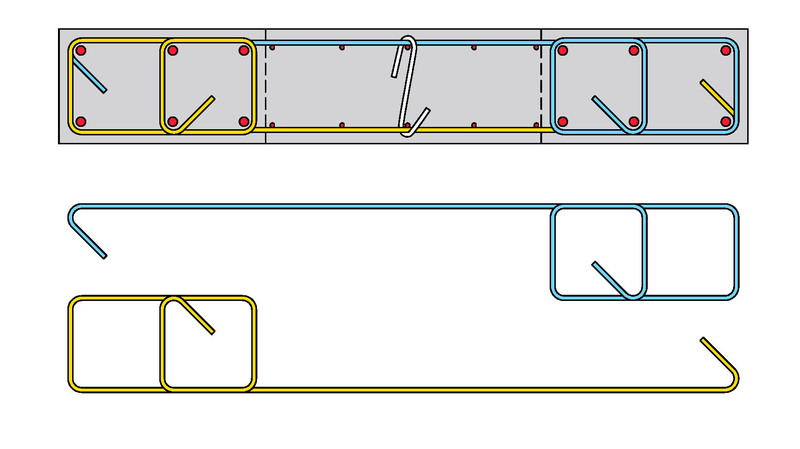 Alternatively, in an orthogonal shear wall, the reinforcement of the boundary column and the distribution rebars of the wall’s body can be implemented as two ‘Γ’ shaped parts, as shown at the following figure. 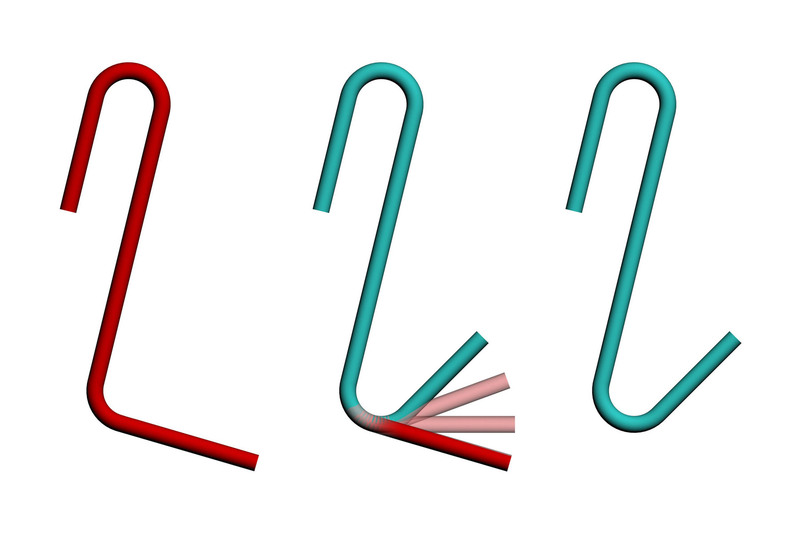 The ‘Γ’ shaped parts may be formed with the use of folded mesh.